Exhibitions on events players and more. 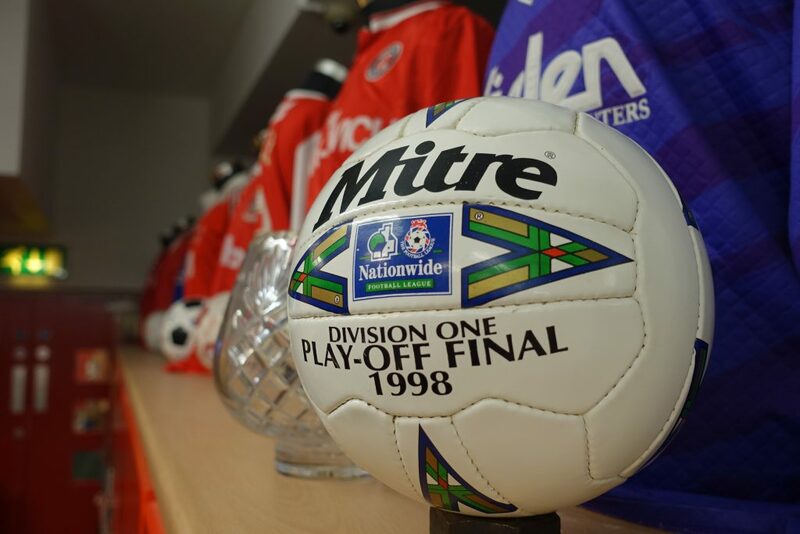 Explore the history of the football club. 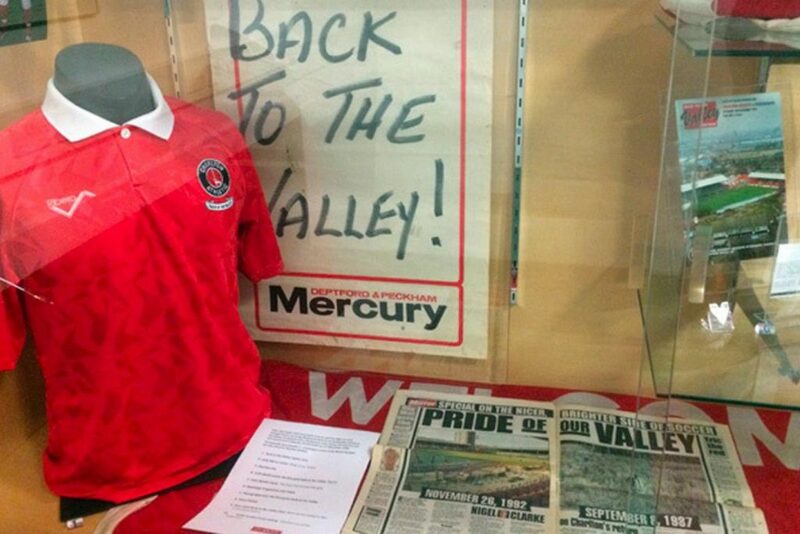 The Charlton Athletic Museum is a self funded charity with a mission to preserve the heritage of Charlton Athletic and to promote the Club and local community’s history. Its trustees, all volunteers and passionate supporters are Mick Everett, Ben Hayes, Ian Wallis, Stuart Binns, Clive Harris, Paul Baker & Nick Tondeur. 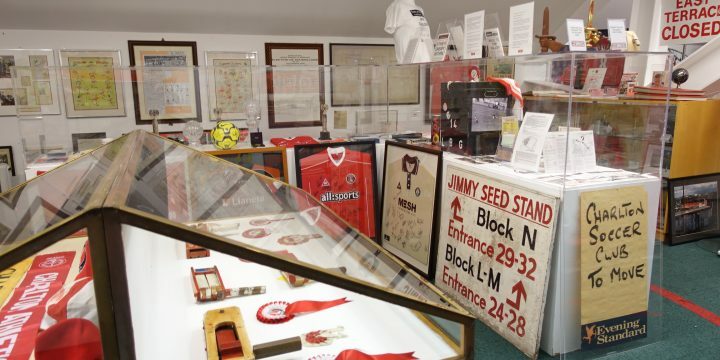 The Charlton Athletic Museum (CAM) will display artefacts and historical pieces in a dedicated, permanent space situated within the North Stand (Covered End). Visit on an event evening to see footage from the video archives.